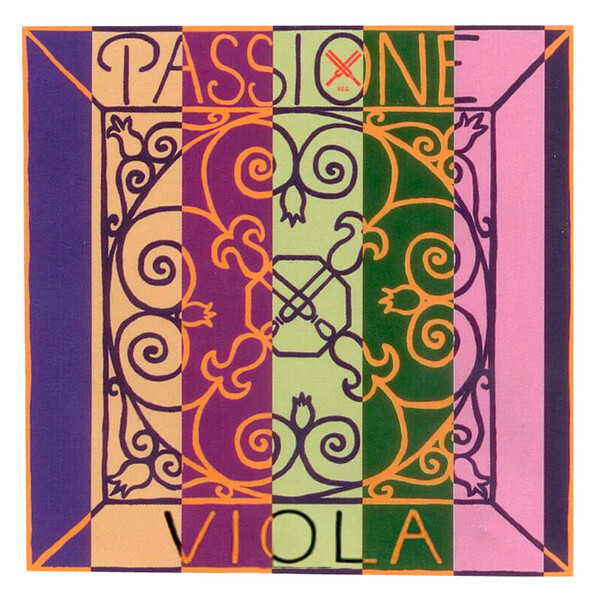 The Pirastro 229141 Passione Viola A String produces a complex sound for the advanced musician. The gut core has a warm sound accompanied by a complex range of overtones. The aluminium winding adds a flexible feel that's both comfortable and assists in pronouncing the overtones. The medium gauge tension provides a key balance between versatility and playability. This A string has a ball tailpiece end and is designed for full size violas. The Passione series of viola strings offer a complex sound for the established musician. The strings successfully couple a warm tone with a direct response. They strongly resonate and characterise your viola’s wood, meaning each instrument gets an individual tone. Each string’s harmonics communicate a textured voicing full of emotive expression. The Passione strings sound best as a complete set, producing a colourful sound that resonates freely with your viola.